Disclosure: This post has been compensated by Simple/Walgreens and Global Influence. All opinions, as always, are 100% my own. Do you or any of your family members have to deal with sensitive skin? For me, I don’t have sensitive skin but I like to use products on my face that are for sensitive skin since I believe the skin on the face is much more sensitive than the rest of our body. Thankfully Simple® products are there for all of our skincare needs! Simple® Ultra-Light Gel Moisturizer – Great for instant hydration. The best part of these new Simple® products, as well as all of the other Simple® products available? They have absolutely NO parabens, NO dyes, NO artificial perfumes and NO harsh irritants! 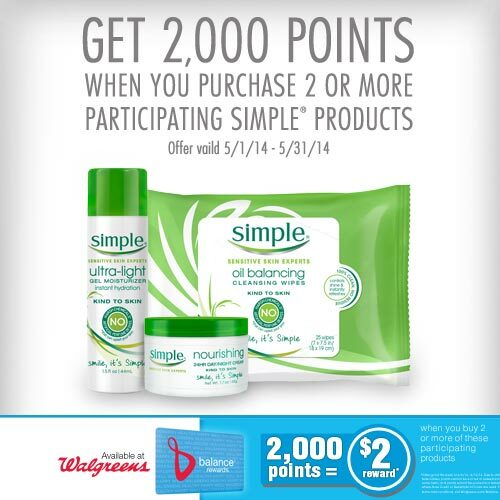 Until May 31, 2014 you can score a great deal on Simple products at Walgreens! Purchase 2 or more participating products and receive an extra 2,000 Balance Rewards points! This is equal to $2! Not to mention, a lot of participating Simple products at Walgreens are Buy 1, Get 1 50% off with your Balance Rewards Card. There really is no excuse to treat your skin good when there are deals like this going on! 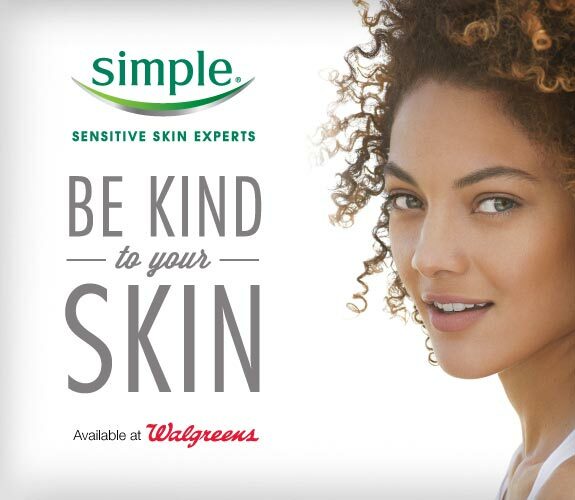 So get to your local Walgreens soon to pick up Simple products; you won’t be disappointed!